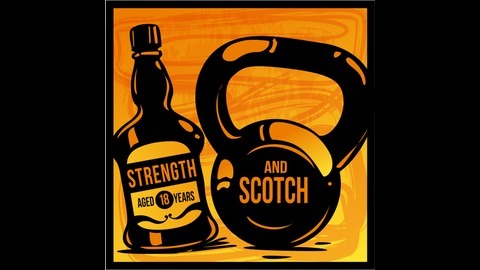 A weekly podcast covering everything health and fitness… with a splash of booze. 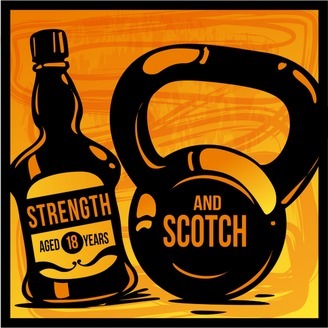 90% of what we say is based on the latest scientific research, the rest is the scotch talking! Grant and Coach Heavey explore topics like strength training, nutrition, paleo, intermittent fasting, crossfit, building muscle, losing fat and pretty much everything else you can think of related to diet and exercise. All while enjoying a few drinks. Have a question you'd like us to answer? Submit it via our website and we'll feature you on the show! So pour a couple fingers, throw a barbell on your back and listen up. SS 228 - Do Binaural Beats Do Anything? Grant and Heavey dive into a listener’s question about binaural beat stimulation and its effect on sleep, cognition, and reducing anxiety. What is it in the first place? Heavey dishes out a few studies related to this interesting technology. The duo also give their take on the rise of genetically modified salmon! SS 226 - Are Whole Grains Healthy or Unhealthy?